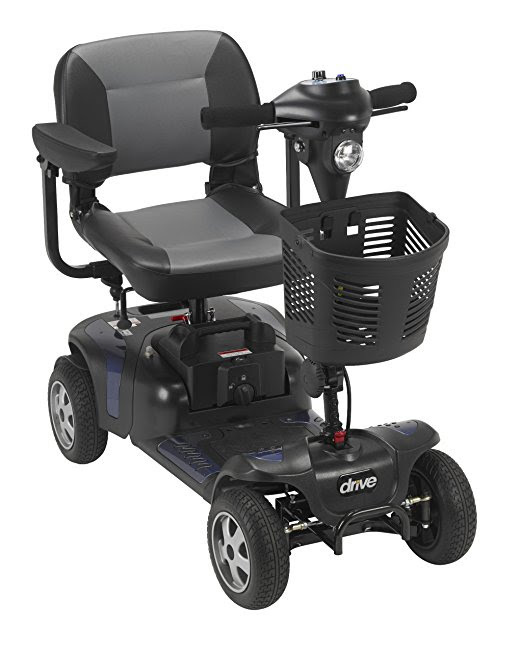 The Drive Medical Phoenix HD 4 Heavy Duty Mobility Scooter provides independent mobility, combining comfort and ease-of-use for effortless navigation both indoors and outdoors. The Drive Medical Phoenix HD 4 Mobility Scooter has a convenient lightweight and compact design that can be easily disassembled into 4 easy-to-manage pieces for transporting in the trunk of a car so you can take it with you wherever you need to go. 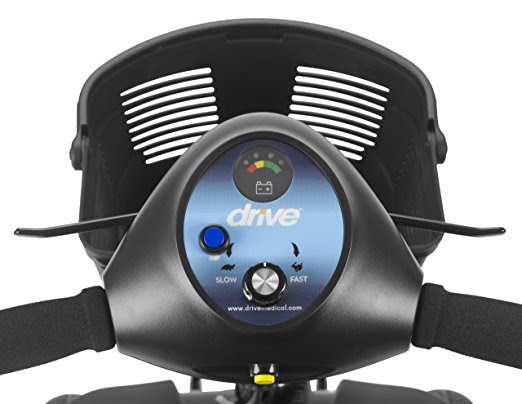 The Drive Medical Phoenix HD 4 Scooter is designed with a range of ergonomic comfort features including a padded seat, padded backrest and padded armrests. The 17.5” wide seat is height adjustable and swivels 180 degrees for easy getting on and off. The armrests are width and angle adjustable and also flip upwards for easy access to the seat. The Drive Medical Phoenix HD 4’s tiller is angle adjustable for easy and comfortable reach of the controls. The control panel features a battery indicator and speed dial and the ergonomic finger-pull throttle allows for easy operation even for those with limited strength or dexterity. The Drive Medical Phoenix HD 4 Mobility Scooter offers a top speed of 4 mph and a 15 mile maximum cruising distance range on a single charge. Stopping is simple with the Phoenixhd4’s electromagnetic brakes – simply release the throttle to come to a stop. The Drive Medical Phoenix HD 4 Mobility Scooter utilizes a 24V 350W 3600 rpm motor and comes with a rechargeable quick-connect battery pack (12V x 20AH) and 1.5A Offboard charger. Additional features of the Drive Medical Phoenix HD 4 Heavy-Duty Mobility Scooter include 9”x3” non-marking flat-free wheels, anti-tip wheels, freewheel operation, 54” turning radius, 3.75” ground clearance, 6 degree climbing angle, red and blue interchangeable panels, large plastic carry basket, headlight, and an extended maximum user weight capacity of up to 350 lbs. Speed & distance range dependent on user weight, type of terrain, battery charge etc. N.B. Always follow your doctor’s or health professional’s advice and the manufacturer’s instructions for safe use of mobility scooters. Comparing Drive Medical Scout versus Bobcat Power Mobility Scooters, What's the Difference?